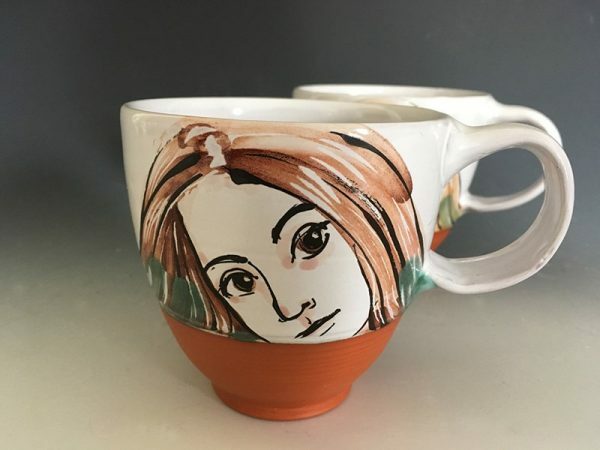 Eileen de Rosas is both a potter and a painter. As a potter, she wishes to give pleasure to the user both in the hand and to the eye. As a painter she is challenged by the curving surface of a pot to create patterns that both flow and capture attention. The medium is terra cotta, a rich red-burning clay. The glaze is maiolica, a blanket of white that dresses up earthenware, creating a clean canvas for brushwork and color expression. Any marks made while decorating remain on the fired piece. Painting requires a decisive hand and clear ideas. There can be no mistakes. While I am inspired by Italian maiolica, Iznik earthenware from medieval Turkey, Japanese brushwork and Korean ceramics, I use contemporary images that reflect my own experience. Decorative and graphic, the brilliant, flamboyant and ephemeral red blooms of the oriental poppies in my garden fascinate me. 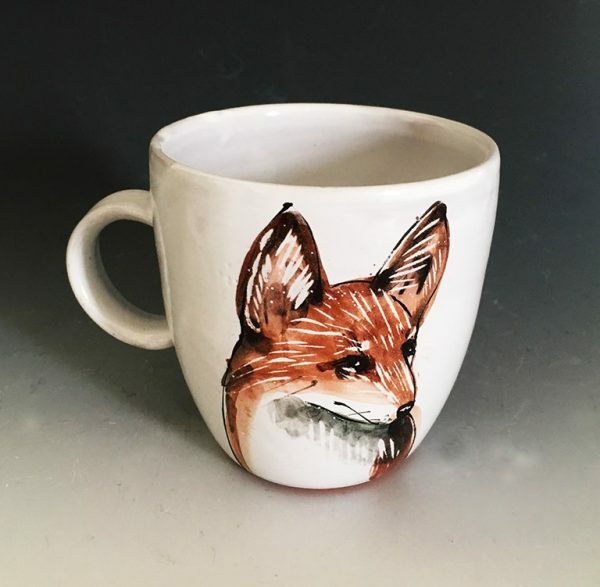 Portraits of the scrappy animals of New England stare out from the walls of the pots, echoing and extending the maiolica tradition of figurative portraiture. Because they are wheel thrown, most of my pieces are circular. The decoration wraps around the surface, reinforcing the circle and bringing the user to experience all sides of the pot. 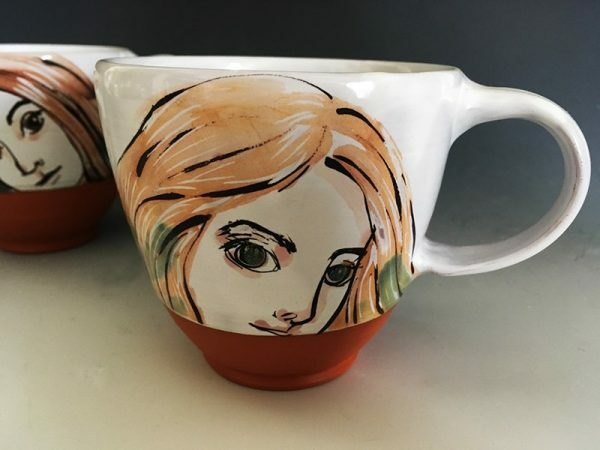 The pots become paintings that must be experienced in the hand, while the paintings become pots that ask to be noticed. Most of my work starts on the pottery wheel. Pieces are hand thrown, trimmed and altered in terra cotta, a red burning earthenware clay. After the first firing, I dip the pieces in a white glaze called Maiolica, which is an Italian term for a glaze made white with the addition of tin oxide. The technique of maiolica takes its name from the pottery of medieval Italy, and it is still practiced there today. When the glaze has dried, I paint designs on the surfaces of the pots with colored ceramic stains and metallic oxides. In the firing the maiolica glaze does not move, preserving the drawings as they were freshly painted. The maiolica work of medieval Italy, especially the studio of Della Robbia, inspires the major aspect of my work. However, I am currently interested in Iznik pottery of Anatolia, and the ceramics of ancient Korea (both Koryo and Punchong), and Japan (Oribe) have always influenced me.